What's Your Question for PFI Annual Conference Speakers? I spent a good portion of the last two weeks writing questions for the panelists who will join us in just over a week at our annual conference at Myrtle Beach. If you've perused the conference agenda you already know that agenda will cover a wide swath of areas of interest and concern for wood pellet manufacturers. We'll be talking new markets, policy, our retail partners, the role social media can play in growing demand, fire and explosion protection and much, much more. Altogether, I'm approaching 100 different questions that I'll be asking over the course of just two and a half days. I'm confident that the questions I've developed will spur conversations that I think are vital to our organization as we build a strategy to move PFI and its members into a more profitable future. Below, I've included 5 questions that I've authored in anticipation of the various conversations we'll be having. 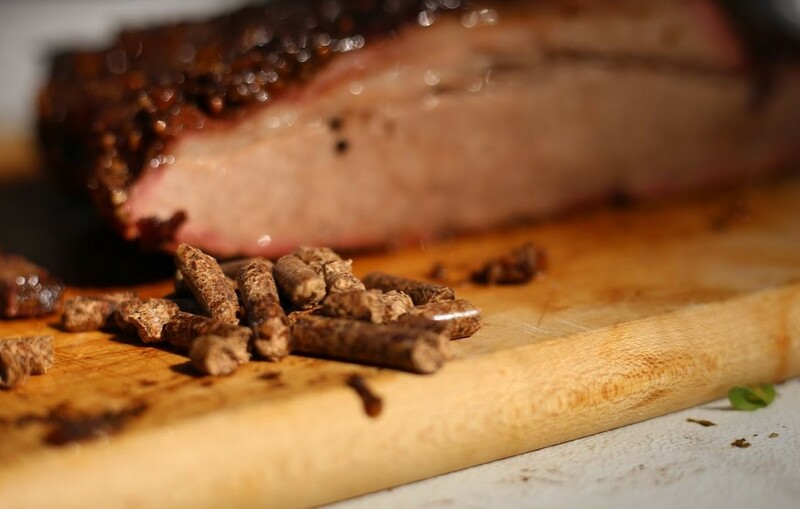 Industry observers hail the BBQ pellet grilling opportunity as a means of flattening cash flow and production peaks and valleys. Would you say this characterizes your experience? Is pellet heating convenient enough for today's consumers? 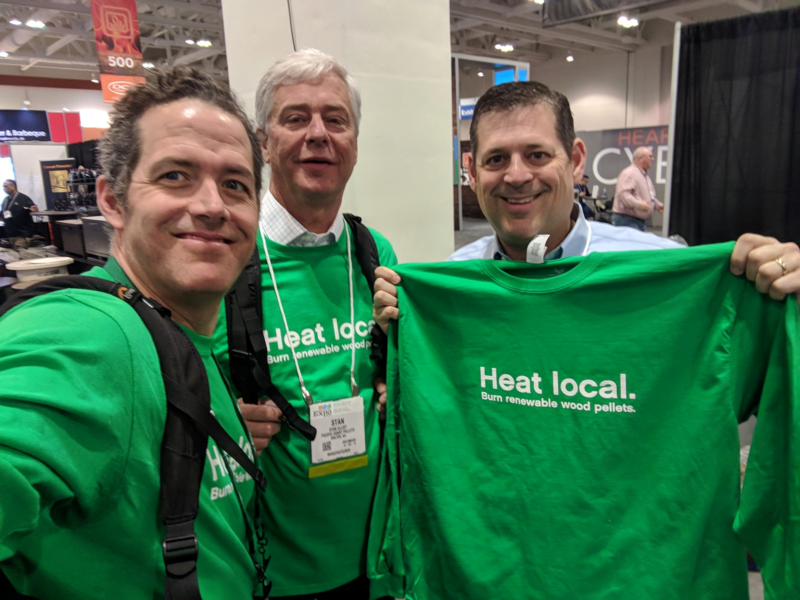 Are there aspects of our business that set pellet producers apart from other wood heat actors and how do we as an organization tread that fine line of amplifying our value proposition without denigrating our allies in the broader wood heat category? Are you confident in the service infrastructure available to consumers who do buy pellet appliances? Are there enough good service technicians to support pellet appliance buyers after the sale? Do you think the growing opportunity in BBQ has opened pathways to new customers that we couldn't reach in the past? With all of that said, what are your questions or better yet, if you could have just one question answered at the conference what would it be? Perhaps you are intrigued by the ambitious goal of reestablishing 100,000 units as the annual floor for new wood pellet appliance sales but are curious how PFI intends to drive towards that goal. Or, instead you've got questions about where PFI stands with regards to the regulatory environment created by the NSPS. Or you may be wondering where PFI is headed with regards to its standards program. For me, the important thing is to have a question in mind as you prepare for your time at the conference. Not only will this ensure that we have lively discussions and debate, but also that the conference will deliver real value to you and your team. I look forward to seeing you in Myrtle Beach. Only ONE Week 'til the PFI Annual Conference in Myrtle Beach! We are excited to see you in Myrtle Beach next Sunday, June 24th! We're building a collection of photos of our members, their pellets mills and product. Send them to Carrie Annand at [email protected]. This week's featured photo is from Tim Portz documenting his experimentation with a new pellet grill. The new version of the 2018 Farm Bill may have a lot of Montana-based timber policy changes, including restrictions on court challenges to logging projects and simplified forest management rules. Much of that will come from Sen. Steve Daines, R-Montana, who filed 20 amendments to the bill on Monday evening. Those additions will be discussed in mark-up sessions over this week. "Chairman Roberts asked me to take the lead on the forestry side," Daines said on Tuesday, referring to Agriculture Committee Chairman Pat Roberts, R-Kansas. "I'm using that as another vehicle to work on forest management reform." Daines said a compromise between Roberts and ranking member Sen. Debbie Stabenow, D-Michigan, means he needs to find as much bipartisan backing as possible for the amendments to get attached to the Farm Bill at the committee level. Those that don't make it would have to survive the more difficult process of getting accepted through a floor vote of the full Senate expected later this month. U.S. Senate Agriculture Committee Chairman Pat Roberts, R-Kan., and Ranking Member Debbie Stabenow, D-Mich., released the Senate's version of the 2018 Farm Bill on June 8. The bill reauthorizes Energy Title programs, but provides insufficient funding to ensure their success, according to the Agriculture Energy Coalition. The legislation titled the Agricultural Improvement Act of 2018 is scheduled to be considered by the committee on June 13 at 9:30 a.m. Eastern time. The meeting will be streamed live here. On May 18, the House voted down its version of the 2018 Farm Bill, titled the Agricultural and Nutrition Act of 2018 by a vote of 198 to 213. The Senate's 2018 Farm Bill does reauthorize Farm Bill Energy Title programs, including the Biorefinery Assistance Program, Repowering Assistance Program, Rural Energy for American Program, Biomass Crop Assistance Program and several others. However, the AgEC has criticized the bill for providing these programs with insufficient funding. Sen. Michael Bennet, D-Colo., introduced three bills this week to boost rural economic opportunities by expanding USDA funding eligibility for clean energy projects. This funding would help improve electric grid security, create more energy choices for businesses, and advance the development and deployment of low-carbon, clean energy technologies-all in rural communities throughout the country. The bills include the bipartisan Promoting Cybersecurity for Rural Electric Utilities Act, co-sponsored by Sen. Cory Gardner, R-Colo.; the Energy Storage for Rural America Act, co-sponsored by Sen. Jeff Merkley. D-Ore.; and the Carbon Utilization Act, co-sponsored by Sen. Sheldon Whitehouse, D-R.I.
"As we look to the future of clean energy, we must invest in innovative, secure, and low-carbon technologies-especially in rural communities," Bennet said in a press release. "We will work to include these energy provisions in the Farm Bill to provide funding for projects that create jobs, secure our electricity systems, and combat climate change. We must ensure that rural communities are included in the clean energy economy."